Site details: A city centre Junior School. Special features: System comprises of one canopy hood (3 x 2.5 x 0.5)m and 10 Mesh Filters with approximately 6 metres of extract ductwork and a medium, external discharge extract fan unit. 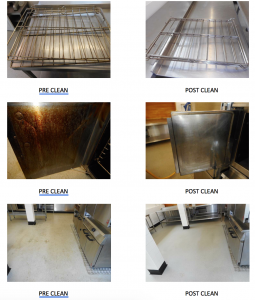 Due to the type of cooking carried out at this site, this system is cleaned on an annual basis. Kitchen Extract Systems have an increased fire, odour, vermin & hygiene risk compared to general supply and extract systems. This is due to the grease build up acting as a potential ignition source, contributed by the heat in the kitchen, possibly elevated oxygen levels from a fresh air supply source and the general deposition of cooking oils on ventilation system components and the ductwork itself acting as fuel. Wet Film Thickness Tests (WFTT) were carried out at various locations throughout the system, to determine the overall level of grease deposition. Individual readings of over 50 microns are deemed unclean. An average reading across the system of 200 microns or more is deemed unclean. Any individual readings in excess of 500 microns require immediate attention. In accordance with BESA TR19, tests were carried out at the following locations (where accessible). 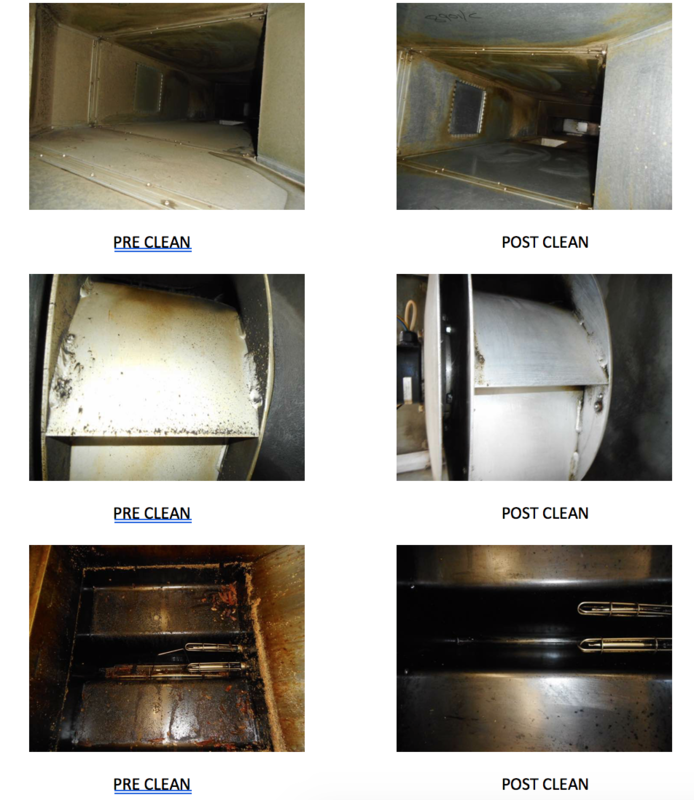 The WFTT readings pre clean were as follows: Canopy 150 microns, ductwork from canopy 200 microns and fan unit 300 microns. 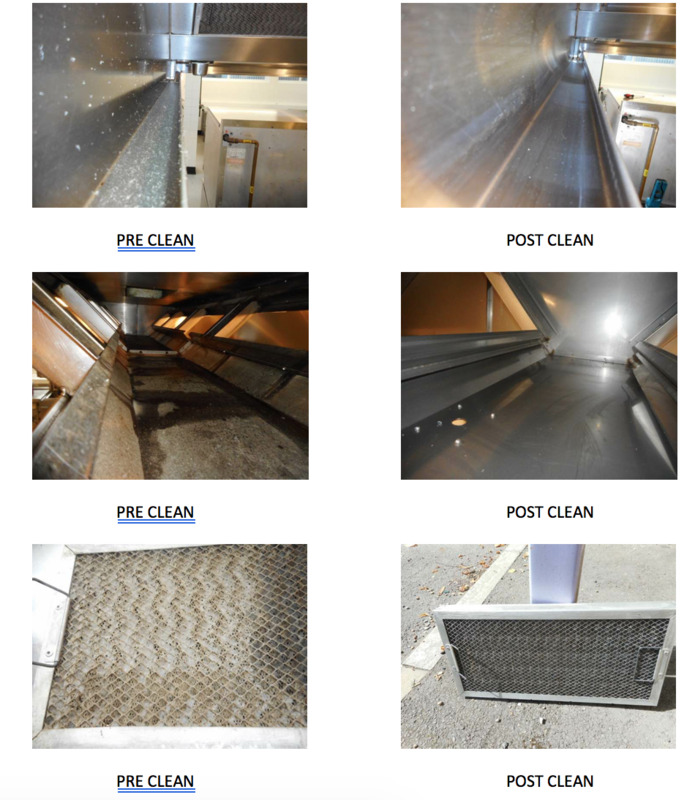 The work was carried out successfully by degreasing and deep cleaning the canopy, grease filters and the internal surfaces of the associated ductwork. 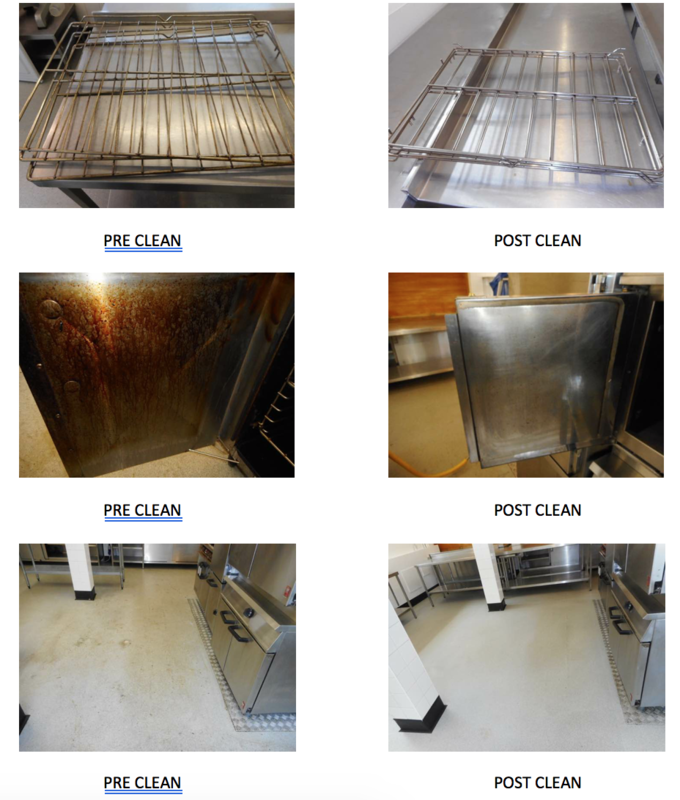 All areas were thoroughly cleaned with results below 50 microns. We discovered that the current mesh grease filters were no longer fit for purpose and require replacing and we also recommended that cleaning continued at the recommended intervals.